Red Hat is the largest open source company in the world. We build and support open source products from open source projects. We give back to the projects and communities we engage in. We defend open source licenses. With open source, we equip our customers for success. Source code is a set of instructions that tells electronic devices how to run the applications that make up the digital world, including operating systems, word processors, browsers, video games, smartphones, and websites. Millions of computers run the same code, meaning it's important for the code to be rock-solid and provide consistent results. Good code—and good applications—have tremendous value. Many companies keep their code secret in an effort to control and profit from their products' distribution. Their proprietary source code is closed off from outsiders who can't inspect the code or find out how it works. Open source code, on the other hand, is publicly available for everyone to see, learn from, use, modify, and distribute. The Open Source Initiative developed a precise definition for open source software. An open source license prevents restrictions on use of the software—from commercial distribution to who can use the software and for what purpose. It emphasizes neutrality, accessibility, and freedom. Open source development promotes stability, security, and innovation. By opening the code to widespread examination, more people take part in finding its bugs and security flaws, in testing for broad compatibility across platforms, and in providing new ideas. 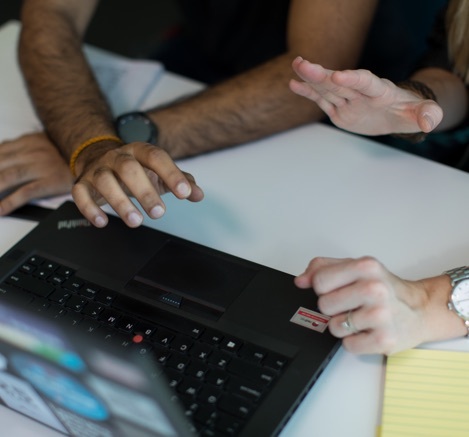 When a serious problem is discovered, a wide community of developers work together to fix it—including Red Hat's engineers. The open source way is so effective that it attracts tremendous technical talent. Much of the innovation in technology is taking place in the open source community, and people all over the world end up using open source software. Behind many popular websites and applications you can find projects like Linux®, Kubernetes, and Git, and people access the internet with open source browsers like Firefox and chromium. Red Hat's mission: To be the catalyst in communities of customers, contributors, and partners creating better technology the open source way. Red Hat develops open source software following a set of principles called the open source way. This philosophy is based on creating an open forum for ideas. Communities form around solving a problem, to collaborate, experiment, and iterate on new ideas and technologies. 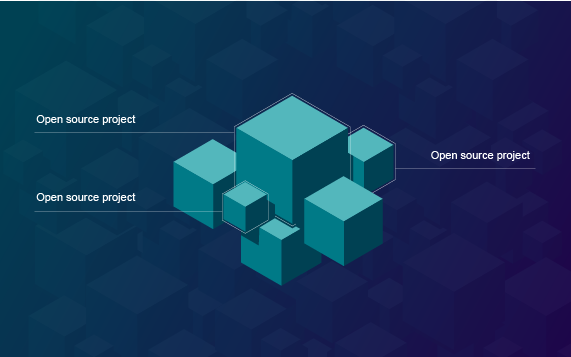 Built on the strong foundations of free and open source software (FOSS), our enterprise open source products tap into the collective talent and innovation of open source communities. Red Hat values collaborative development—and the opinions and suggestions from anyone in the company. 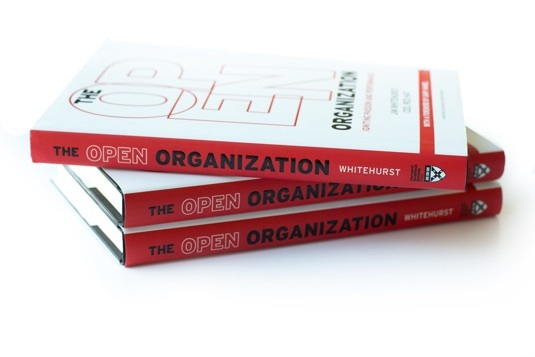 Check out CEO Jim Whitehurst’s book The Open Organization. 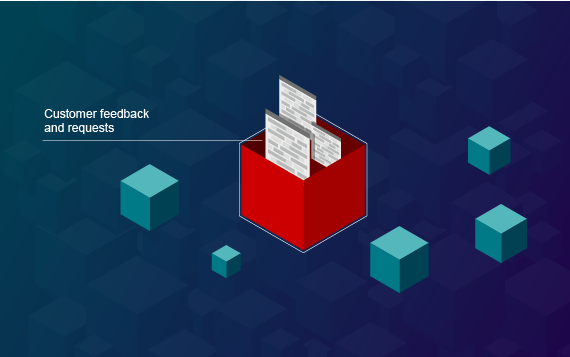 Red Hat® developers actively participate in hundreds of open source projects across the IT stack—and have for decades. We recruit open source champions and build strong ties to their communities. That adds up to a lot of open source experience. That expertise informs our open development model: It's innovative, iterative, and promotes security and stability. We start with community-built open source software that meets the needs, partially or fully, of our customers. 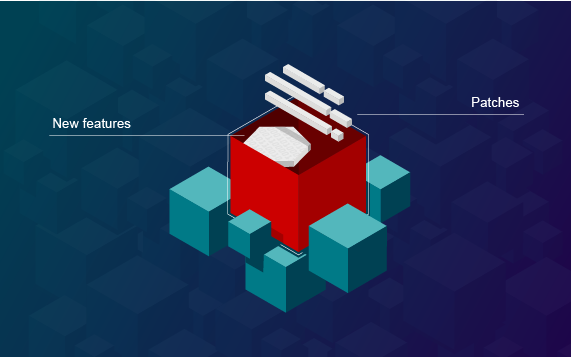 Red Hat builds upon these open source projects, hardening security and adding enterprise features when necessary to create our enterprise open source products. We work to fix bugs, patch vulnerabilities, and build new features. But we don't keep it to ourselves. We contribute these improvements back to the original project for the benefit of the community as a whole. As customers use our software, they provide feedback, submit bug reports, and request additional features as their needs shift. This input guides Red Hat's development. Open source communities are made up of hobbyists, but also professionals from tech companies large and small, as well as folks from the broader business universe who get involved to solve interesting, complex problems. These inclusive communities give their members agency to participate in and shape the development of the software they use. The resulting work makes the best software possible. Often, competing companies use and contribute to the same projects. It’s led to a degree of cooperative competition. They collaborate on development and then compete for the same customers. Companies actively help their competition by improving the base source code. But it’s a 2-way street because they also benefit from their competition’s contributions. Red Hat has been involved in open source communities from our inception more than 2 decades ago. 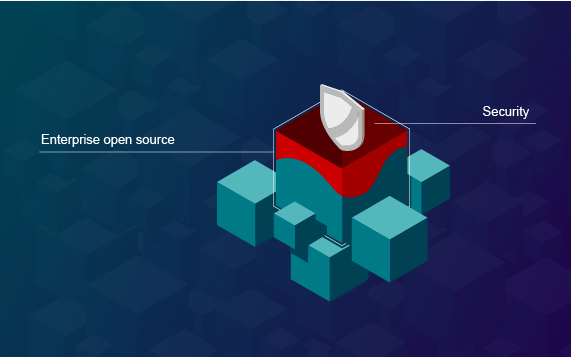 From Linux to Apache in the 1990s to Kubernetes and the Cloud Native Computing Foundation, we’ve participated in hundreds of open source communities and trade groups. Discover the breadth of Red Hat’s community involvement. Open source software is at its best with diverse communities. Red Hat champions open source programs so everyone can be heard. We build with open source software. We invest in open source projects. We open source acquired technologies. We protect and defend open source intellectual property.